On Jan. 28, a “task force” comprised of Republican state legislators issued a 33-page report regarding the condition and future outlook for New York’s state transportation system – a report based on information gained from eight regional forums held by members of the Assembly Minority Conference throughout the fall last year. “This report is the culmination of numerous hours of traveling, testimony, gathering research, and analysis. We listened to local officials, highway superintendents, first responders, affected drivers, and business owners about their firsthand experiences. 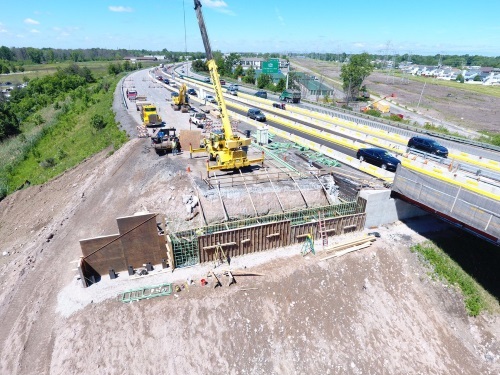 It was a tremendous lift, but our picture of the state’s infrastructure woes is comprehensive and substantial,” said Assemblyman Phil Palmesano, the task force’s co-chairman. Palmesano said testimony provided at the forums confirmed that efforts to fix New York’s transportation infrastructure depend on cooperation and commitment from every level of government, from village departments of public works up to the Federal Highway Administration. Palmesano noted in the report that most stakeholders spoke favorably of the working relationships with the New York State Department of Transportation, illustrating that the genesis of the transportation and critical infrastructure crisis lies not with those doing the work, but rather with the planning, funding, and policies that dictate work. “One sentiment was echoed unanimously at every forum; there is a crucial need for the state to forge a stronger partnership with municipalities and provide more robust and more consistent funding for local road, bridge, and water infrastructure,” he pointed out. That’s why funding for local transportation infrastructure was “the most prevalent issue” raised during the course of the eight forums, Palmesano noted.